What a year we had in 2015! I can't believe it's already 2016 and as this year begins the word I find myself most thinking about is GRATITUDE! I'm so thankful to have spent the past several incredible years with EAT.PRAY.MOVE and all of the guests and new friends made throughout this adventure. I always say at the beginnings of the retreats that this is my dream job and that I couldn't do it without all of YOU - so thank you so very much. I always dreamed that EPM could be a facilitator of life-changing and enhancing experiences as well as a relationship-builder... and on every retreat I see pieces of this coming together. It truly is magical. We wanted to say a big TAKK to our group in Iceland and for their amazing spirits and positivity throughout the week. We enjoyed seeing the gorgeous landscapes, meeting new people, and taking part in daily yoga classes as well as art classes from Julian of EASEL&LENS. It's always so fun to find our creativity and create a travel journal which is a beautiful reminder to take home of our trip. Of course a New Year's retreat wouldn't be complete without a celebration to kick off the new calendar. 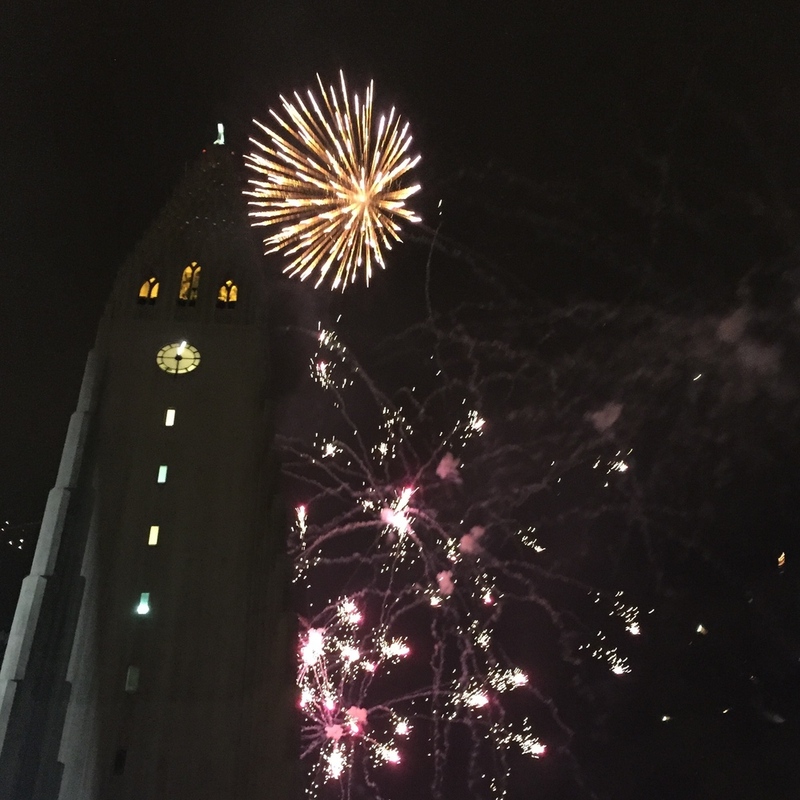 We all shared our "colors and words" for 2015 and 2016 and what that means to us, around the dinner table and then we went out to see the Icelandic tradition of the huge bonfire which signifies burning away of the old year and creating space for the new. Then there was the massive display of fireworks that we saw up close and personal on the grounds of the city's Cathedral. May this year be better than ever and I can't wait to see what it brings.